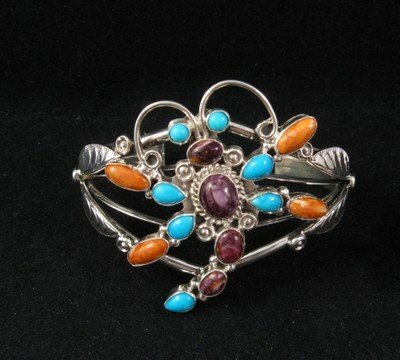 Check out this lovely Native American multi-gem sterling silver cluster dragonfly bracelet created by a Navajo silversmith, working for Running Bear. The open lacy looking design is enhances with the sparkling gemstones and applied sterling silver accents. 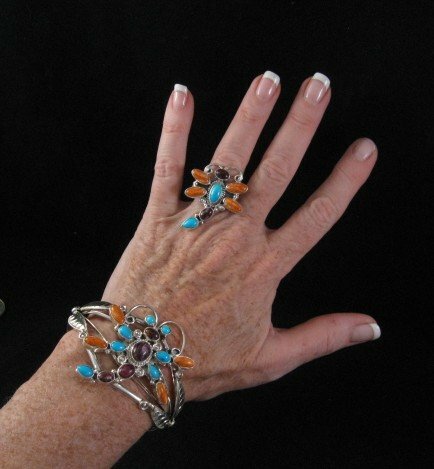 The bracelet is set with turquoise , orange and purple spiny oyster. The bracelet measures 2 wide with an inner end to end measurement of 5-5/8 plus a 1-1/4 adjustable gap and it weighs 38.4 grams. 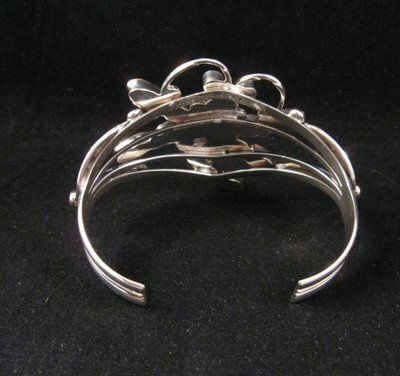 The four wire cuff can be carefully adjusted to fit. Brand new in perfect condition. Carries the Running Bear hallmark R.B. inside a Spirit Bear. 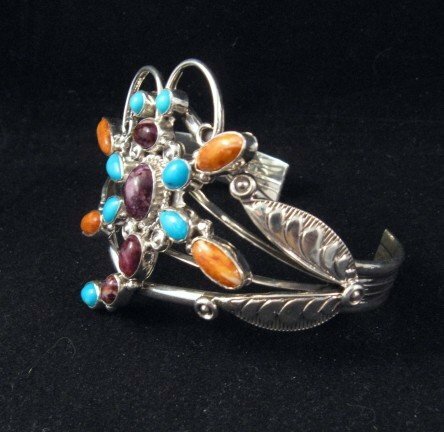 The silversmith was Navajo Roberta Begay while being a benchsmith at Running Bear. Certificate of Authenticity included and gift box included. 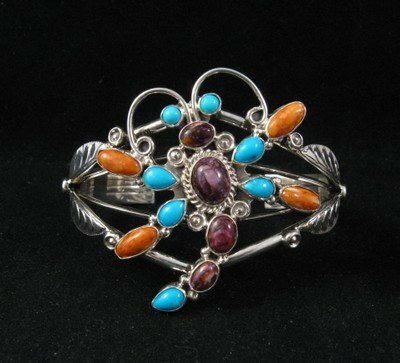 Running Bear is a Native American jewelry business in Gallup, New Mexico that employs only Native American indian silversmiths. Sometimes the individual silversmiths hallmark the work with their own individual hallmark, but sometimes not, as in this case. Matching ring is no longer available.